Log into SooPOS and then access the Vendors menu. Then, on the Vendors screen press Print / Export in the top right corner. A new window labeled Print/Export will pop up. 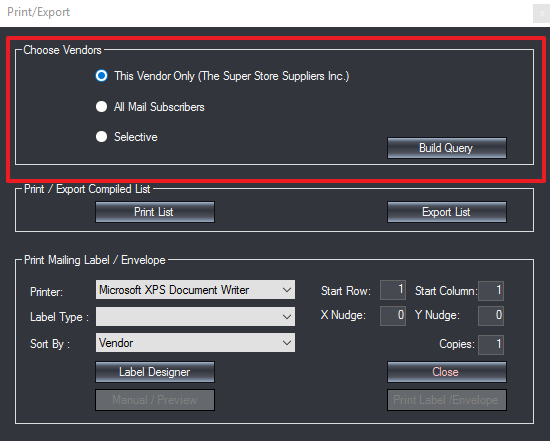 The first section of this menu will let you choose which vendors you would like to print or export.